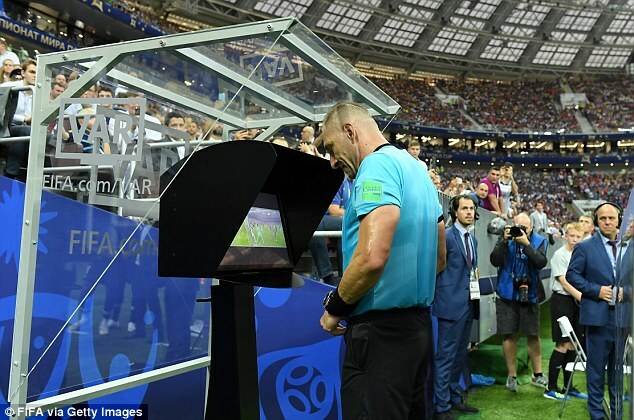 The Video Assistant Referee (VAR) system came under intense scrutiny during theWorld Cup final after France were awarded a controversial penalty which allowed them to retake the lead over Croatia. 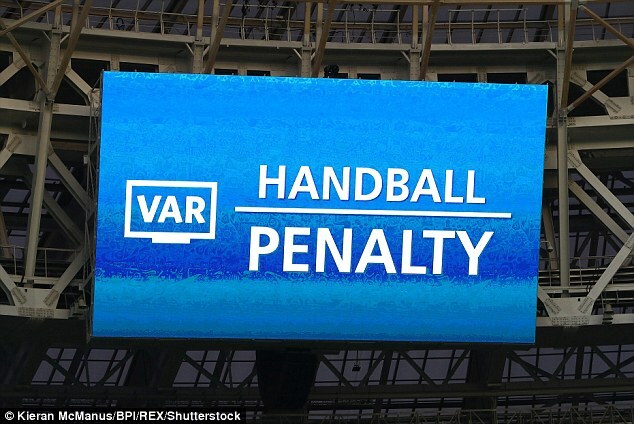 Referee Nestor Pitana spent several minutes in front of the VAR screen after he was asked to check a potential handball from Ivan Perisic. The ball appeared to hit his outstretched hand as it was crossed into the box. While it appeared not to be deliberate, Pitana decided Perisic’s hand was in an unnatural position and awarded the penalty. Antoine Griezmann scored the resulting spot-kick to put France 2-1 ahead just before half time. There were many who agreed with the Argentine official, but Joey Barton led a long list of former players, managers and journalists who think he made the wrong call. 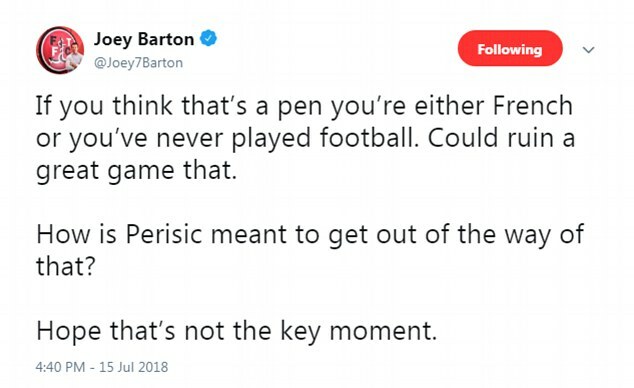 Current Fleetwood Town manager Barton wrote on Twitter: ‘If you think that’s a pen you’re either French or you’ve never played football. Could ruin a great game that. How is Perisic meant to get out of the way of that? Hope that’s not the key moment. 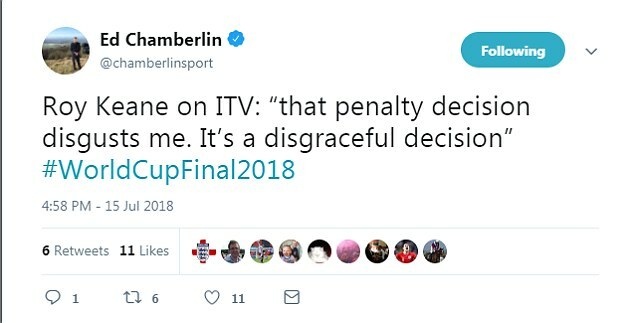 That sentiment was echoed by Robbie Savage, while former Liverpool striker Robbie Fowler described the call as ‘a shambles’. 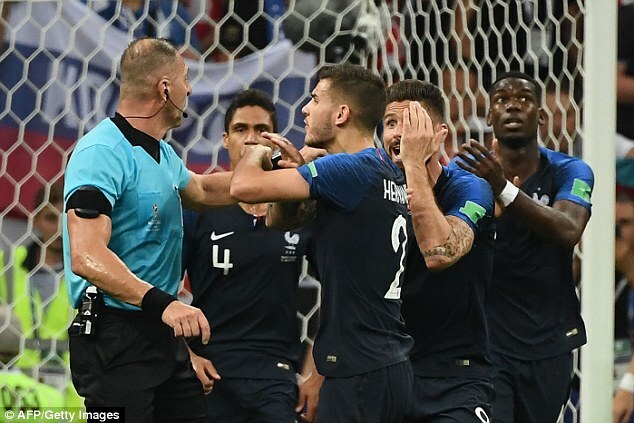 For some, it was the second time France had been given the rub of the green by the referee, with Griezmann accused of diving to win the free-kick which led to their opening goal. The Atletico Madrid star appeared to go down easily under the challenge of Marcelo Brozovic, winning a free-kick that would eventually be turned in accidentally by Mario Mandzukic. 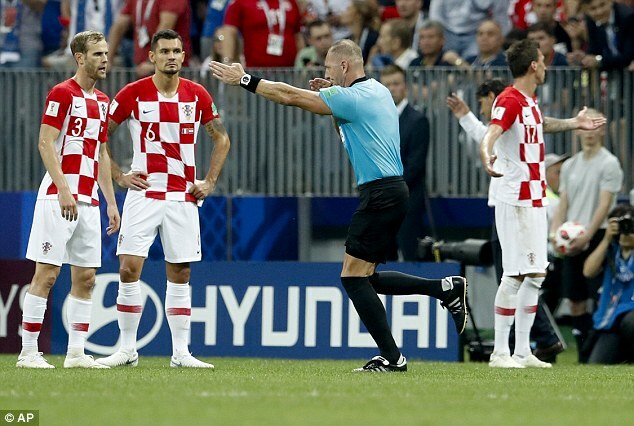 As it was a not a match-changing incident in itself, current VAR regulations do not allow for a review, but, even so, the fact Brozovic made contact with Griezmann means it is unlikely the referee would have changed his mind. Second-half goals from Paul Pogba and Kylian Mbappe put France 4-1 ahead and meant that the VAR penalty was, fortunately for FIFA, not the decisive goal of the match. 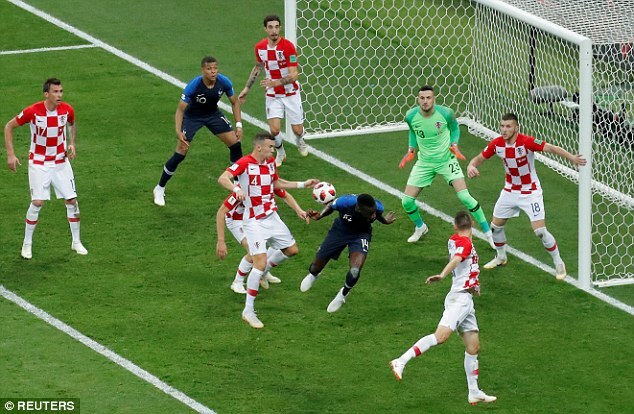 Taking advantage of a lackadaisical Hugo Lloris, Mandzukic pulled one back for Croatia after closing the goalkeeper down. However, the game had already gone for the Balkan nation.